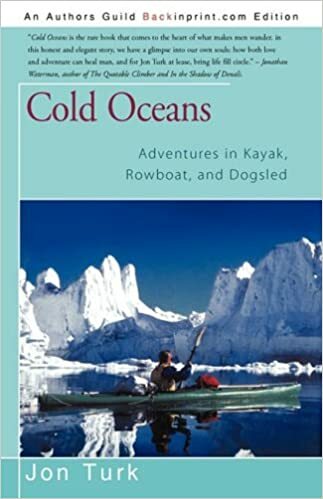 Cold Oceans recounts Jon Turk's expeditions to some of the most inhospitable regions on earth. Even after being shipwrecked off Cape Horn, stopped by ice in the Northwest Passage, and beaten back by Arctic blizzards, Turk has followed an irresistible urge to explore. Woven throughout the book is the deepening relationship between Jon and his frequent expedition partner, Chris Seashore, and the journey of self-discovery that the relationship fostered. Finalist, Banff Mountain Book Festival.